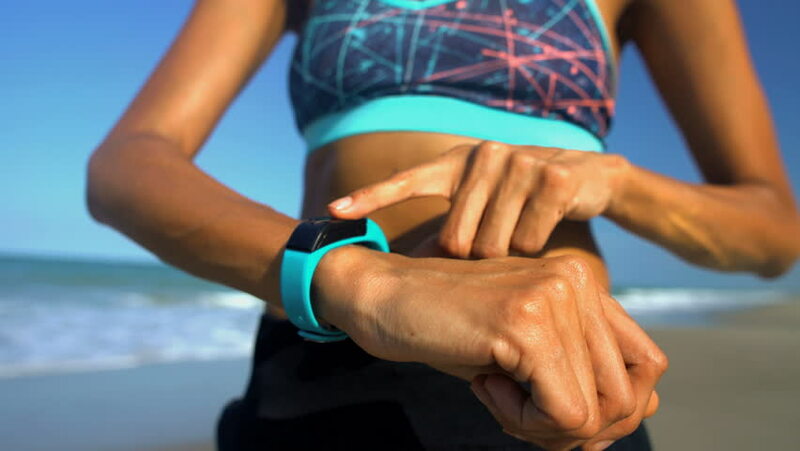 What’s all the hype about fitness trackers? Like new gym memberships and New Years resolutions – once the novelty wears off the motivation to ‘get fit’ soon follows. There are no magic pills for fitness and a smart bracelet will not suddenly turn you into an athlete or Instagram model. But, with the right mindset, you can turn your fitness tracker into a formidable tool to aid in the pursuit of several of your health and fitness goals. It’s easy to brush off your fitness routine or momentarily forget about your health responsibilities. But, most fitness trackers have built-in accountability tools designed to keep your health goals at the forefront of your attention. It’s not as easy to brush off your fitness goals when you’re consistently given firm reminders of the goal you made and its importance. Research shows that wearing fitness trackers – even if it’s just a basic pedometer! – can increase a user’s activity levels by 30 percent! Seeing is believing and seeing your visual progress each time you log a workout or hit your step goal is a motivator. The numbers will allow you to see the reality of your movement, or lack of movement and motivate you to do something about it. We say it all the time it doesn’t matter what you’re doing in the gym if you’re not fueling yourself with a healthy diet. Most trackers have apps that support nutrition and hydration logging to help you keep track of the quantity and quality of fuel that you’re putting into your body. When you have to be accountable for what you eat, you’re more likely to make better food choices. Now, for the real reason, you clicked to read this post! ? From tongue in cheek beginnings, Increase the Peach has blossomed into more than we could imagine. In little over a year, we’ve become a small yet mighty fitness group. So, as a way to say thank you, support and motivate you to keep pressing on and crushing your goals we’re hosting a fitness tracker give-a-way! Beginning on #humpday, Wednesday 11/8 at 9 am EST, we will be running a 7-day free giveaway. A download of our FREE squat challenge fitness tracker gets you one entry. Sharing the post about this give-a-way will count for three additional entries. Two winners will be chosen at random on Wednesday, 11/16 at 9 pm EST and will become the proud owners of a fitness tracker (black, pictured above). To enter click here –> to visit the squat challenge page. There you can download the tracker and officially enter. The best chance to win will be by sharing the giveaway with your friends because you’ll get those additional entries each time you do. So hop on Instagram, and Facebook and get sharing! Our hope is that whoever wins these fitness trackers will use them to really enhance their lifestyle. This entry was posted in Motivation and tagged Challenge, Contest, Fitness, Free, Giveaway, Motivation, Prizes. Bookmark the permalink.